Is your web development environment upgraded to the awesome jQuery 1.5? 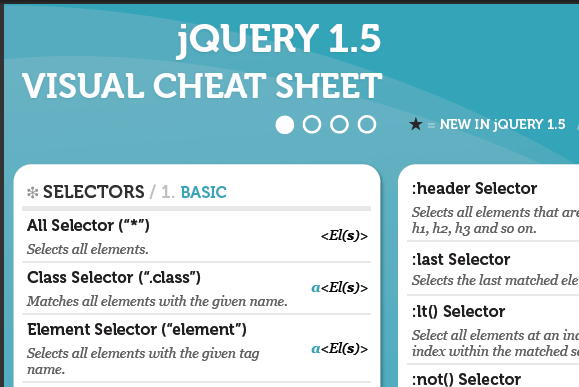 Here is a free cheat sheet or visual reference guide to jQuery 1.5 APIs. Download it right now.